V-tech manufactures chassis dynamometers (aka rolling road, dyno) for cars, motorcycles, trucks and dynamometers for tractors. 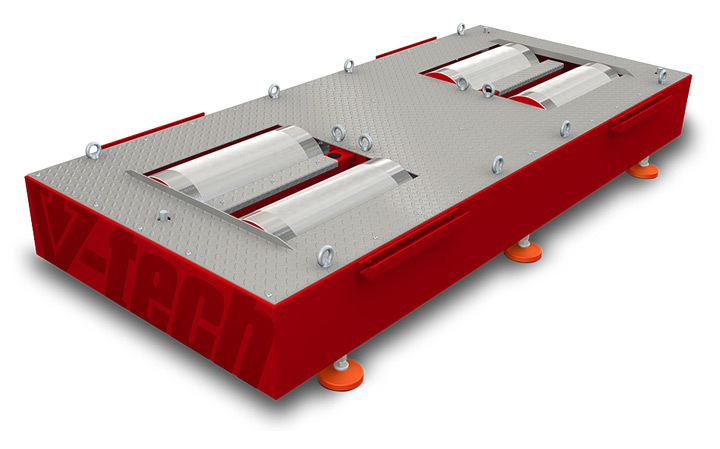 Modular dynamometer (Vtech Dyno EVO) means that there is no need to buy 4wd dyno at once. You can have a front module, without electromagnetic brakes, and buy brakes, 4wd extension and additional sensors later. Thanks to fully modular design everything is expandable. Let your dynamometer pay off itself! 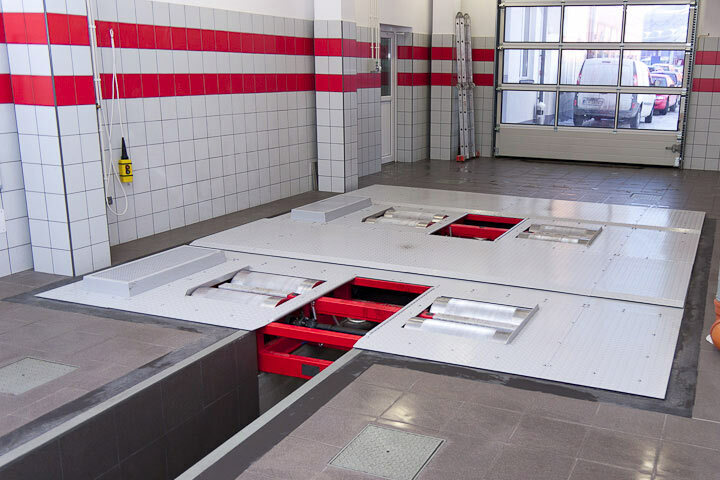 The VT2/VT4 modular chassis dynamometer series have been present on the European market for more than a decade. The first rolling road was created and installed in 1999, and since the very beginning, they featured an exceptional accuracy of measurement and reliability. 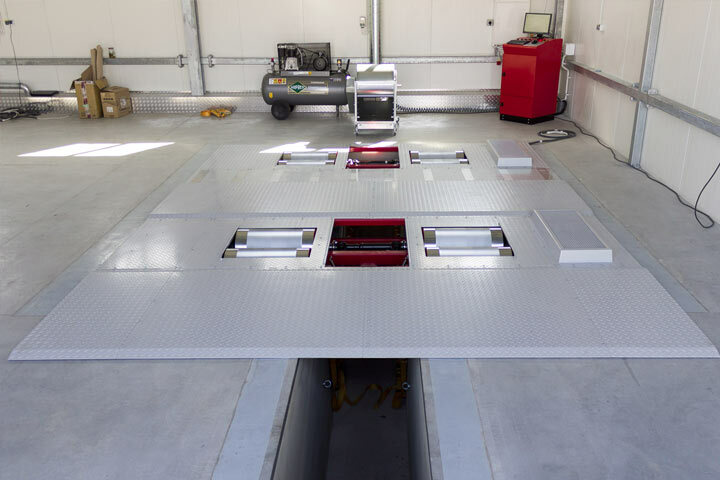 During the following years, the chassis dynos (rolling roads) have constantly been developed and improved by our R&D department, significantly widening the product range. Today variants of our dynamometers include modular one axle dynamometer and 4wd chassis dynamometer for 4x4 vehicles. Multiple models, configurations and options of the chassis dynamometer product line are available (main one axle module is always in stock) for sale. Our dynamometers are available in both inertial and braked versions. Additionally, in the 4x4 version, we use a novelty system of mechanical synchronisation of the front and rear axles, which gives the possibility for measuring the most modern cars, equipped with active traction control systems. Supplementary to our wide offer are dynamometers for motorcycles and quads. Modularity – you can buy an inertial dyno, then later buy an eddy current brake, a motorcycle unit, additional sensors... Or maybe you want to measure 1000 HP monsters? You can even have four eddy current brakes - up to 2500 HP! Mechanical synchronisation of axles in 4x4 dynos - you are able to measure vehicles with advanced systems of traction control and with an active central differential. The dynos have all necessary certificates. Their installation and use are completely compliant with the applicable regulations, and any external inspection will find everything in order. Rolling roads produced by tuners for tuners – resulting in complete ease of handling. Dynos have the full support of our service and many years of warranty, plus you can have the possibility to extend the warranty time. Multiple configurations and options of dynamometers available for sale. 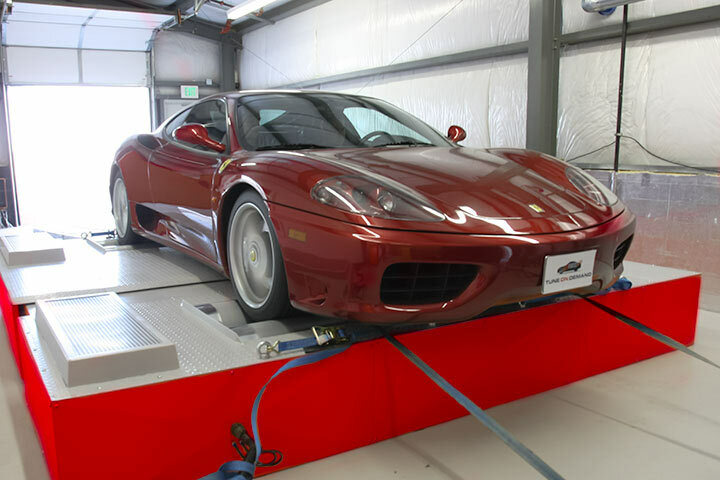 The software upgrades are free if the dyno is serviced by us. The possibility of leasing. 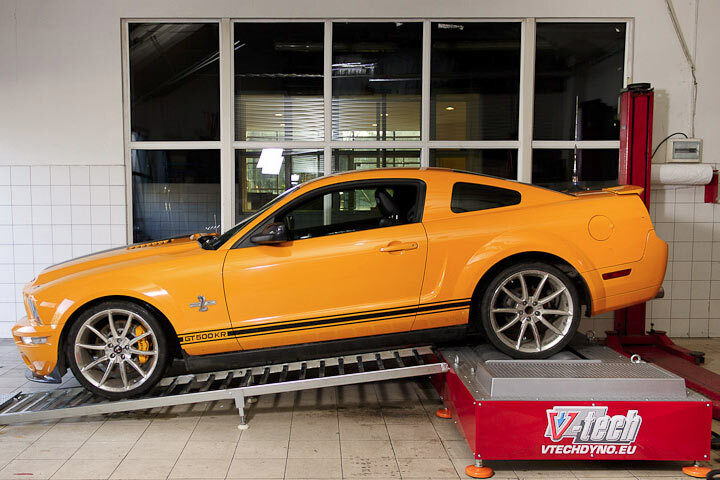 Let the dyno earn for itself! Many of the popular chassis dynamometers manufacturers use lightweight painted rolls and/or covers them with adhesive & sand. Such rolls got worn quickly and never (new or worn) offer reasonable friction, and they look unsightly in general. 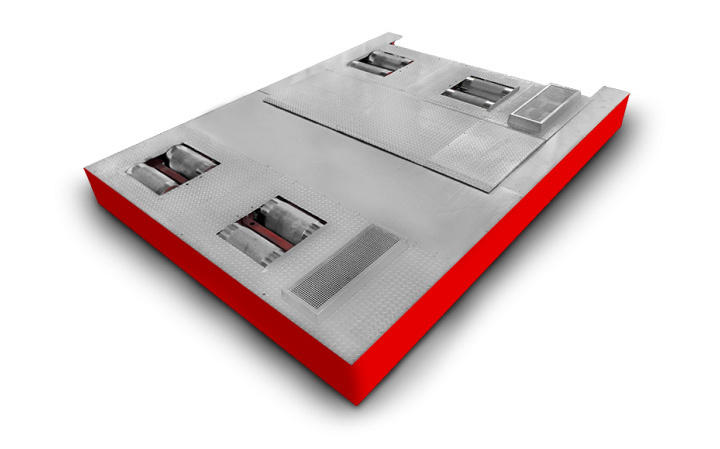 Our solution is different – we emboss special tread (with high mechanical pressure). This tread is 3D and CAM-optimized and may be described as a kind of teeth-shaped lines embossed in the roll (see picture). Each “line” has two “tops” across the roll (instead of a common method of cutting them and thus – having only one top per line) to double the number of contacts to tire. Then, between both “tops” there are micro – cuts (at the right angle to teeth shaped line) to stop tire from flattening of tread. Finally, rolls are covered with special double layer chromium cover to protect them from being worn. Even 10 years of use will not kill their parameters and brilliant aesthetics. 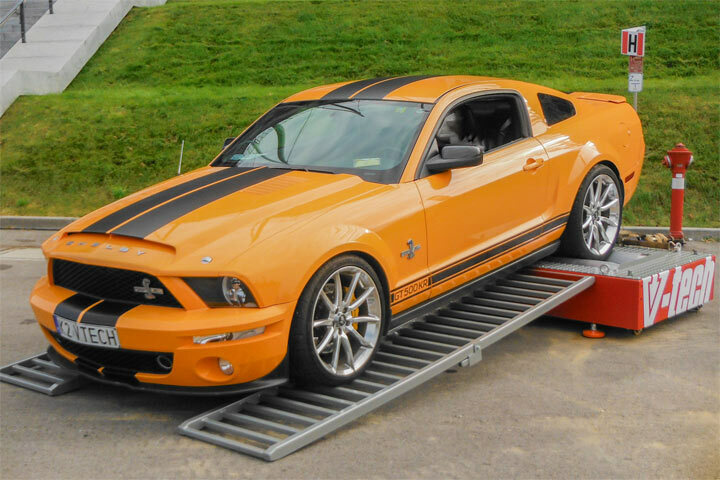 Your dyno will always attract the eye of customers. Tire runs silent, with perfect friction, even with wet tires! Beside that larger diameter and heavy rolls we produce, better replicate the flat-earth that tires are actually designed to run on and are generally safer. 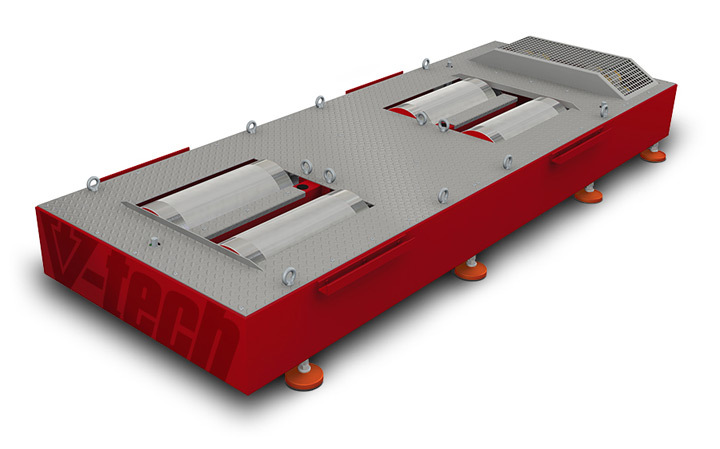 The VT series of chassis dynamometers have been present on the European market for more than a decade. Today our offer of dynamometers includes one axle rolling roads and chassis dynamometers for 4x4 vehicles. Multiple models, configurations and options of chassis dynamometers are available in stock for sale. The VT series of chassis dynamometers have been present on the European market for more than a decade. The basic model in our offer. One-axle dyno, allowing for the measurement of power and torque in the inertial mode. One axle dyno, equipped with the eddy current brake with maximal braking torque 1000 Nm. 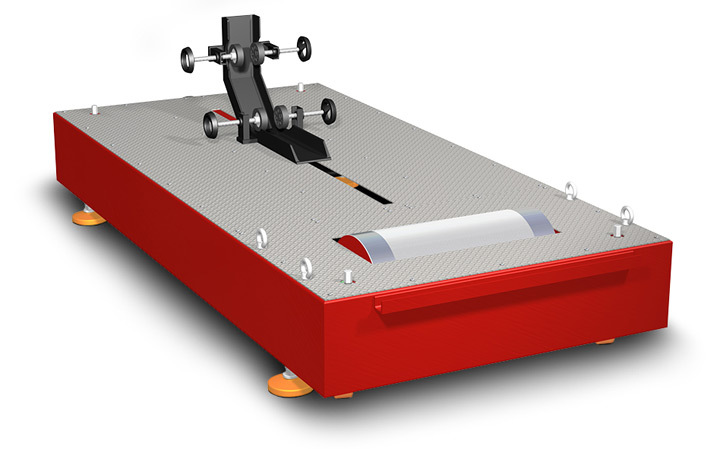 Two axle dyno, designed for cars with one or two driven axles. It allows for the measurement of power and torque in the inertial mode.